Named after Joseph Balestier, the first US Consul to Singapore, Balestier Road runs alongside what used to be his sugar-cane estate. While no traces of sugar cane remain, Balestier today is a great spot to wander and sample a range of traditional Singaporean dishes. Strap in! There are plenty of good bites in the Balestier area. At 432 Balestier Road you’ll find Rochor Beancurd House, which sells soy milk and soya beancurd, eaten chilled or warm. Founder Xu Kunming used to ply this breakfast favourite from a pushcart, walking from Rochor Road to Beach Road to Balestier -- he started some 40 years or so ago. 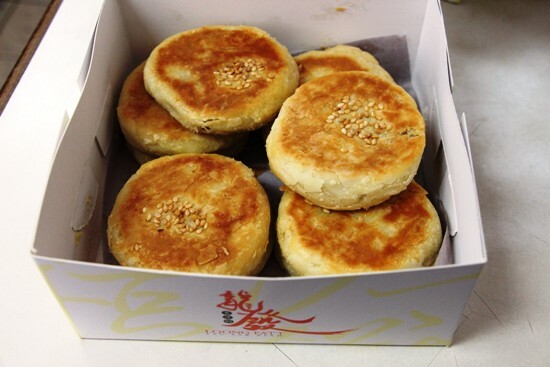 Stop to try the delicious treat and have a chat with Mr Xu’s son, who continues to run the business today. 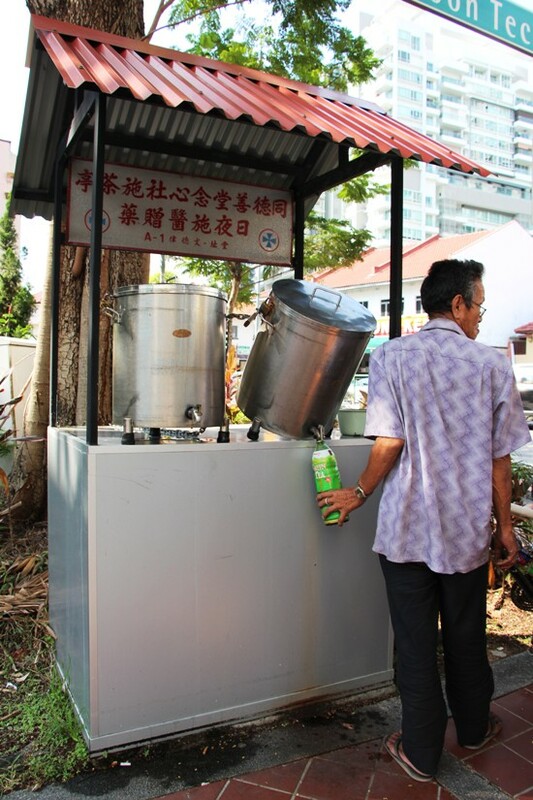 Quench your thirst from the water kiosk at the corner of adjacent Boon Teck Road; a small cart stands by the road, with two large steel dispensers that offer water and tea to any thirsty passers-by at no charge. This is a legacy of the charity that used to be offered to poor labourers including rickshaw pullers and drivers of carriages; today the practice continues under the auspices of the nearby Thong Teck Sia Tong Lian Sin Sia charity. Many among the older generation continue to stop by for a drink. Have a break, have some water or tea (for free). At Lam Yeo Coffee Powder on 328 Balestier Road, you’ll find coffee powder for Asian-style kopi, brewed as it has been since 1959 through a process which strains the coffee mixture through a sock of fine mesh, before adding sugar or condensed milk (known sometimes as Nanyang, cowboy or dirty style). 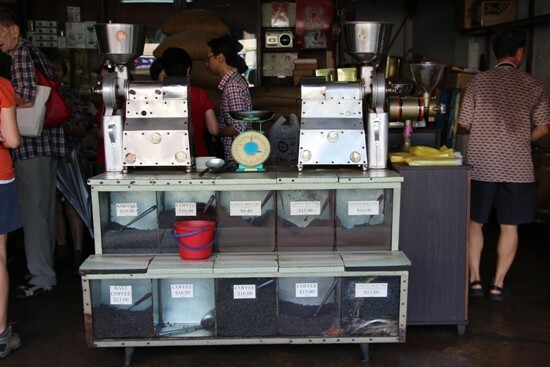 The coffee at Lam Yeo is fragrant, strong and sweet—choose a bean that’s been roasted with margarine for a buttery, richer taste. The current owner is the son of the original founder. These days they've expanded into other kinds of coffee; pick up some for a fine Singapore souvenir. Home made 'kopi' anyone? All skilfully hand brewed. Walk on and at 347 Balestier Road you’ll find Founder Bak Kut Teh. Bak kut teh means “pork ribs tea”, a dish of pork ribs simmered for hours in a broth of herbs and spices such as cloves, cinnamon, fennel seeds and pepper; it’s served here with rice and Chinese tea. The owner has been selling this dish since 1975 and some swear that Founder is the best bak kut teh in Singapore. 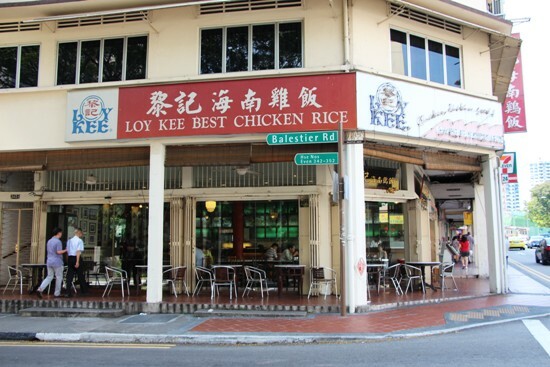 Ubiquitous chicken rice is served up at Loy Kee (342 Balestier Road) and Boon Tong Kee (401 Balestier Road), both of which are renowned — the jury is still out as to which is better. 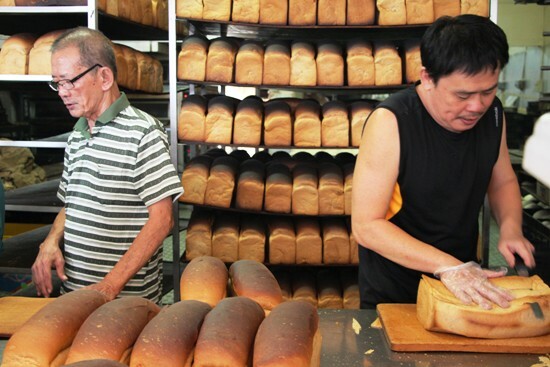 Take a turn down Kim Keat Road to find Sweetlands Confectionery (10 Kim Keat Lane) and Sing Hon Loong Bakery (4 Whampoa Drive), where bread is baked around the clock for delivery around Singapore. Don’t expect any list of ingredients or printed labels—these soft baked loaves are packed in simple plastic bags. Balestier residents have been stopping by for their daily bread with kaya and other breakfast spreads for some 50 years. And still there is more — well, one more! Oh I couldn’t possibly have another… Well, okay, I’ll take a box. Walk further down Balestier Road to reach Loong Fatt Eating House (639 Balestier Road), where you must pick up a box of tau sar piah, a flaky pastry with a bean paste filling— take your pick from sweet, salty and even durian and other new flavours. Balestier boasts many tau sar piahs, but Loong Fatt is probably the most established and is reputed to have been the first. Eating a fresh tau sar piah with a coffee here is a great way to end a visit to Balestier—take a box back to your guesthouse or hotel, as well. Last updated on 2nd November, 2016.